A software developer and indie game developer who specializes in retro games. Hello! I'm Elias Mote, a software developer and indie video game developer. 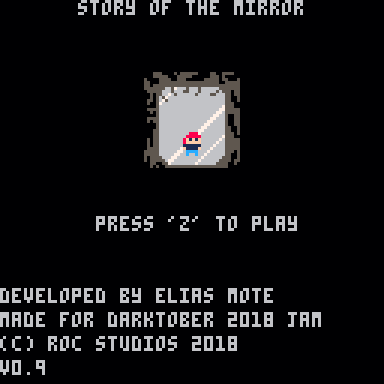 Story of the Mirror is a short horror game that I developed for DarkTober Game Jam 2018 using the Pico-8 fantasy console. 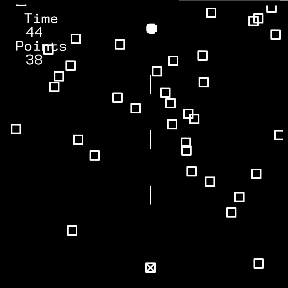 The objective of this game is to find the old mirror, locate the dark path and get the orbs of light. This will require navigating 3 different worlds of increasing tension and horror. Laser Blast! 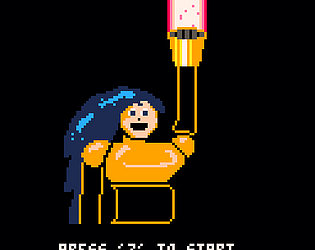 2: The Fight is a short platformer game that I developed for Minimalistic Jam #3 using the Pico-8 fantasy console. It is a 2d game where you play as Atom Girl defeating enemies along the way. You can double jump and use a charge shot to obliterate her foes. Laser Blast! 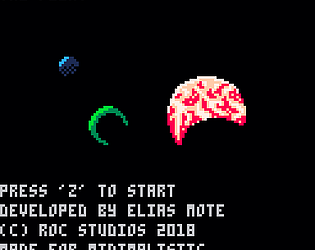 is a short shoot-em-up game that I developed for Proc Jam using the Pico-8 fantasy console. 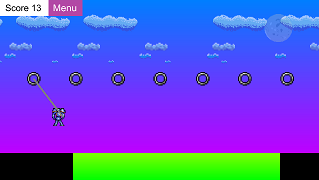 It is a 2d game where you play as Atom Girl defeating waves of enemies trying to stop her as she races through space. You can use her ability to morph into a ship and back to change up the gameplay. Cathode Ray Sunshine is a short horror game that I developed for Fantasy Console Game Jam #3 using the Pico-8 fantasy console. 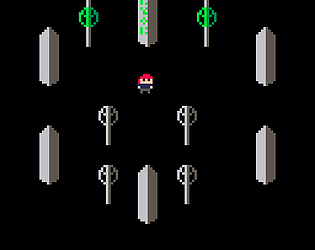 It is a 3/4 perspective game about moving around a desolated town and touching magic pillars to light street lights. After all six streetlights are lit up, the lighthouse will light up, at which point the player must touch the lighthouse to complete the game. The Collection is a space shooter game using VectorBoy that I built for Fantasy Console Game Jam #1. It is a simple game where the player must survive for as long as possible by shooting down enemies that are advancing towards the player. Chain Knight is an 2d endless runner platformer game developed using Corona SDK for Android and iPhone. It used Corona's physics engine to create a grappling hook mechanic to swing over gaps. Legend of the Blades is a 3/4 perspective action game with light RPG elements. You must travel the land and defeat the four knights who each wield a sword of elemental power - Rock, Crystal, Sun and Moon. After each knight has been defeated, acquire his/her sword and use it to make progress in the land of Lowendel. Crush your enemies with the mighty Rock Smasher or cast blades of mystical magic to vanquish foes from a distance with the Sword of Moonlight. Learn some of the details of each knight's past and defeat the villain that they could not beat, the Black Knight. It is currently in development. 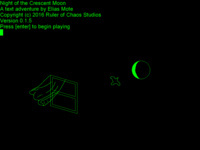 Night of the Crescent Moon was a game I was developing back in late spring 2016. It is a text adventure game where you must answer the call of a ghostly voice calling out to you across the pale moonlight. To solve the mystery, you must collect a small number of items and speak with a handful of npc's who are more or less sympathetic to your quest. Be creative with your equipment usage and listen well to the characters in the game in order to discover the source of the ethereal voice. It is currently unfinished, and it may or may not be completed at a later date. VR Conductor Simulator is a Oculus Rift game I helped develop for my senior project at SSU.